Obtaining medical supplies that would seem basic in the United States can be difficult to acquire in Liberia. While the nation’s infrastructure rebuilds, black market corruption continues to be a problem, especially in the delivery of goods and services. shipping containers filled with medical supplies to hospitals and clinics in dire need of these materials. We are always seeking donations for our next shipment. Can you help? We are currently collecting medical supplies and items for the rehab center for a fall container shipment. Our cut-off date for receiving donations is March 31, 2019. Please Contact us if you have equipment or supplies you would like to donate. We understand that some people don't have an extra ultra sound machine laying around. Often when we're gathering items for a shipment, there are a few things that haven't been donated but are still very needed. When that happens, we send out a few of our bargain-hunting volunteers to buy what's missing. 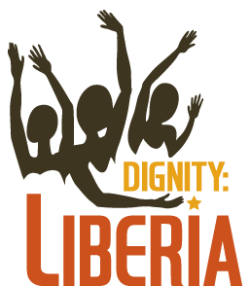 Dignity:Liberia is a 501(c)3 not for profit corporation. We also offer the organizations listed on our Supporters page as integrity references so you can give with confidence.